The 27-year-old is wanted for trial by US authorities on charges of conspiracy to distribute narcotics and conspiracy to commit money laundering. THE UNITED STATES claims a Wicklow man was an administrator of the Silk Road website which offered anonymity to those both selling and buying items including illegal drugs and hacking software. Gary Davis, aged 27, of Johnstown Court, Kilpedder, Co Wicklow, is wanted for trial by US authorities on charges of conspiracy to distribute narcotics, conspiracy to commit computer hacking and conspiracy to commit money laundering. If convicted in the US he could receive a life sentence. 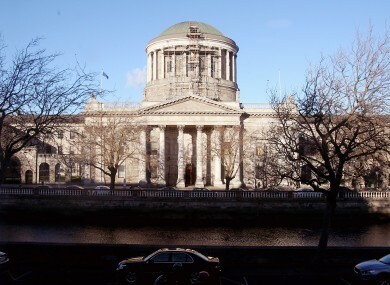 Today his counsel John O’Kelly SC said his client, who he described as being a “vulnerable person” suffers from both a form of autism known as Asperger’s Syndrome and depression, was opposing the extradition request on a number of grounds. The points of objection counsel said, include that due to his mental health condition he would, if extradited, be detained in the US in conditions that are inhuman and degrading. This would amount to breach of his rights, counsel said. Counsel also argued the formal request, made under the 1965 Act which allows for extradition between Ireland and the US, seeking Mr Davis’s surrender is flawed, “lacking in clarity” and the details of the charges against Mr Davis are vague. It is further argued Mr Davis should have been charged with corresponding offences he is accused of by the US in Ireland. The court heard the DPP has not investigated nor had any intention of charging Mr Davis in relation to his alleged involvement with the Silk Road website. The US request for Mr Davis’s surrender opened today before Mr Justice Paul McDermott. The Silk Road, which was shut down by the Federal Bureau of Investigation in 2013, was an underground website that hosted a “sprawling black market bazaar” on the internet. Mr Davis is accused of acting as a site administrator on the Silk Road website using the name ‘Libertas’. He was first arrested on foot of a warrant issued by the High Court in 2014. Opening the application Counsel for the Attorney General, Remy Farrell SC with Ronan Kennedy BL, said it was their case the court should make an order for Mr Davis’s surrender to the US. Counsel said the charges against Mr Davis is the US are quite clear and also submitted that there is nothing that precludes the court from making an order for Mr Davis’s extradition because some of the offences he is facing may not have been committed within the territory of the United States. Counsel said the Silk Road website was launched in 2011 and operated until October 2013 when it was shut down. The site was created and run by American Ross William Ulbricht, who operated under the pseudonym ‘Dread Pirate Roberts’ (DPR). Ulbricht was arrested in 2013 in San Francisco and charged with money laundering, trafficking drugs and hacking. Earlier this year he was sentenced to life imprisonment following a trial by jury. The site offered anonymity to its users, where trades were conducted in the on-line currency bitcoins, counsel said. It is the US’ authorities case between June 2013 and October 2013 Mr Davis was a site administrator of the Silk Road website and had an “explicit knowledge of the items for sale on the website”. The drugs available on the site included heroin, LSD, cocaine and amphetamines. Counsel said the evidence being advanced is that most of the drug purchases from the site were for individual use, although some were bought in bulk. It is claimed as part of his role Davis dealt with queries from the sites users, and he re-organised certain items that could be purchased on the website into different categories, counsel said. In addition Silk Road offered for sale hacking software, counsel said. Some of the products on offer allowed purchasers hack into other people’s social media, such as Facebook and Twitter accounts. Other products on offer included software that could hack into ATMs, password stealing software, and remote access tools. The site, which it is alleged facilitated money laundering, also had a black market directory that allowed buyers the ability to set up anonymous bank accounts and counterfeit bills. Counsel said the US prosecutor’s case against Mr Davis is based on evidence including materials seized from Mr Ulbricht, computer servers used to host Silk Road, and purchases made by undercover US agents. The hearing, which is expect to last a number of days, continues. Email “US seeks extradition of Wicklow man over black market 'Silk Road' website”. Feedback on “US seeks extradition of Wicklow man over black market 'Silk Road' website”.